Seabrook® believes community, continuity and structure are essential to reaching a recovery fulfillment. Addiction is not curable, so rehab becomes a lifelong journey requiring discipline, vigilance and family support. To enhance the sobriety success of our clients, we emphasize the vital importance of dedicated participation in the proven 12-Step Principles of Recovery beyond the care received during residential rehab. Using reputable addiction outcome studies and four decades of hard-earned experience, we developed the Seabrook Model® designed for use during the first year of client treatment. The Seabrook Model represents our community’s beliefs, ideology—and prescription for an ideal care plan. Alcoholism and substance misuse devastates the body. Detox is vital to rehab admission since it cleanses your body and kick-starts the process of physical healing. Once physical healing begins, you are ready to address the emotional, psychological and spiritual damage of addiction. After you complete inpatient treatment, Seabrook provides a multi-phase step-down for independent living. This includes immersion in the 12-Step Principles of Recovery, introduced during gender-specific men’s and women’s programs: Seabrook Extended Care for Women and Seabrook Extended Care for Men. Recovery from substance abuse requires ongoing education and support. 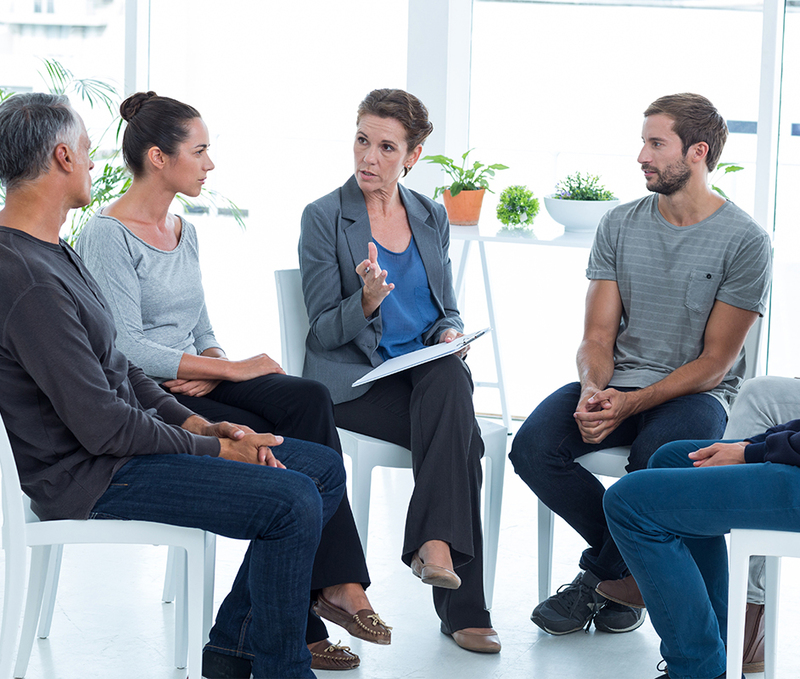 To achieve abstinence and remain committed to long-term sobriety, we encourage clients to participate in individual, group or family counseling at least once per week for 35 weeks after completing residential treatment. At the time of admissions, the body often needs a physical cleansing to effectively begin the healing process. Although we do not consider detoxification part of the therapeutic treatment program, it is a vital aspect of recovery. Once the physical body is free of substance, the patient can begin to work on his or her inner self. We recommend four to five weeks of inpatient rehabilitation, focusing on the healing and realignment of body, mind and spirit. The individual is given the tools for building his or her foundation for a lifelong recovery from addiction. After completion of the four to five weeks of inpatient treatment at Seabrook House, we assist our patients in finding an environment fostering a structured, clean and sober community. Upon discharge from the Seabrook House inpatient program, our primary therapists and case managers work together to make the best possible recommendation for each patient’s aftercare plan. We believe that a supportive environment is most conductive to maintaining a focus on sobriety and healthy living. A continuation of the educational, therapeutic and supportive process of 12-Step based counseling is crucial to replace prevention. We strongly urge all of our patients to unergo individual, group, or family counseling atleast once per week for thirty-five(35) weeks upon completion of the outpatient phase. Seabrook’s three-phase, multi-faceted care model has been developed over 40 years and has delivered successful outcomes for hundreds of men and women. Whether it is your first time in rehab or you are returning after a relapse, we invite you to experience this transformational process for yourself. We look forward to providing you with the evidence-based tools you need to reset the trajectory of your life. It’s a journey you’ll never regret.